Speaking before students, professors, and activists at a conference entitled “Confronting a Human Rights Scourge: Canada and the Global Struggle against Torture” on January 28, Amnesty International Canada Secretary General Alex Neve argued that Canada needs to step up and play an active part in the global struggle against torture. 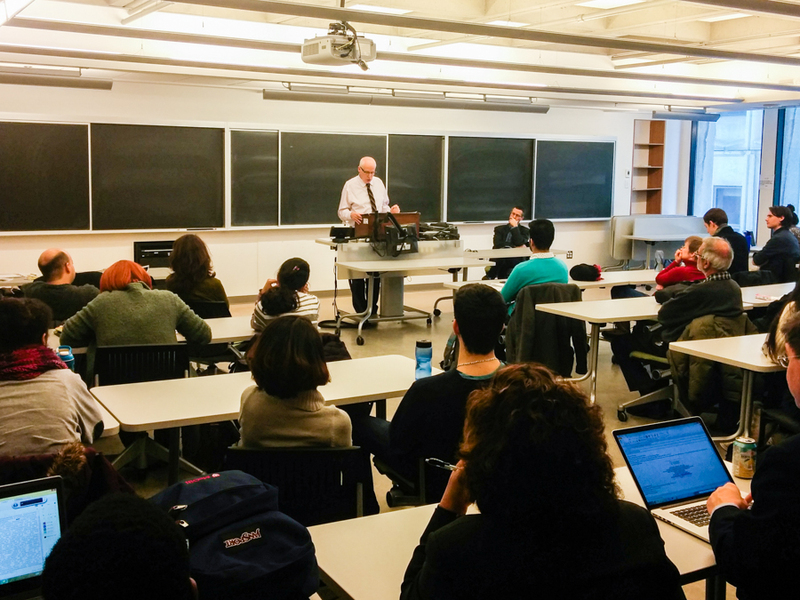 “We should be doing as much as we can on the world stage, but we are sitting on the sidelines,” said Neve at the conference, hosted by the McGill Centre for Human Rights & Legal Pluralism. Canada has ratified the 1984 UN Convention against Torture, but not the Optional Protocol to the Convention against Torture (OPCAT) – which aims to prevent torture by strengthening oversight of detention centres and has been signed by over seventy countries since 2002 – despite repeated recommendations from the UN. Neve stressed in the conference that Canada can strengthen its stance against torture by addressing four areas: detention practices of solitary confinement, complicity in torture elsewhere in the world, justice for torturers and survivors of torture, and oversight and review to prevent torture. According to the UN Special Rapporteur on Torture, solitary confinement that extends beyond 15 days is considered torture and must be prohibited. Canada’s practice of solitary confinement – officially called “administrative segregation,” – is then classified as torture, Neve said, because the average length of stay in segregation is forty days, which is well beyond the 15-day threshold. An example of Canada’s “institutionalized complicity” is the ministerial directions given to Canada’s intelligence services, border services, police, armed forces, and Communications Securities Establishment, according to Neve. Neve said that these regulations allow Canada to receive and use information obtained through torture in other countries and to provide information to other countries that could give rise to risk of torture. Under the Immigration and Refugee Protection Act, individuals residing in Canada can be deported to foreign countries even when there is a clear risk that the individual will be tortured there, Neve said. Further, as per the State Immunity Act, foreign governments cannot be sued on grounds of Canadian victims being tortured, even though they can be sued on other grounds, such as for commercial reasons. Canada has ignored the recommendations from the UN, as well as from former Supreme Court Justice Frank Iacobucci and former Ontario Associate Chief Justice Dennis O’Connor, to address Canada’s widespread usage of solitary confinement and to overhaul foreign policies regarding torture. According to Neve, Canada’s domestic problems hinder its voice on the international stage. “We cannot push others [to combat torture] until we have done so ourselves,” he said.